Dog Games by Kyjen set out with the mission of providing dogs with fun, interactive toys that would challenge their minds and stimulate their senses, eliminating boredom and keeping pets and pet owners entertained. All Dog Games toys are designed to teach dogs problem solving skills while providing an appropriate, safe and non damaging outlet for their natural behaviors and instincts. In addition to keeping canines mentally active, Dog Games products encourage the simple act of play. Healthy play promotes positive, interactive experiences for dogs and helps build strong bonds between them, their owners, and even other dogs. Among Dog Games' more popular items are their Agility Kits. While agility training for dogs once required a professional trainer and a pricey investment for specialized equipment, Dog Games Agility Kits have made it something you and your dog can do in your own backyard. This is a great opportunity to get involved with the fastest growing canine sport over the last few years. These kits provide interactive fun, excitement and exercise for both pets and people. Almost all dogs and breeds can participate in this miniaturized version of official dog agility equipment. Be sure to browse all of our Dog Games products to make sure you find just the right toy, game or bowl to stimulate your dog's brainwaves and enhance your experience as a dog owner and lover. 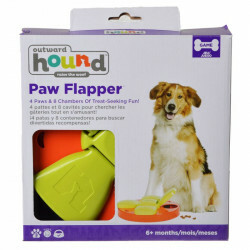 Pet Mountain is proud to offer you a wide selection of Dog Games products, at the very best prices available anywhere! Take a look at all of our huge selection of great deals! Can't find something you're looking for? Let us know! We'd love to help. Be sure to check out our online coupons and discount shipping on all your favorite products.